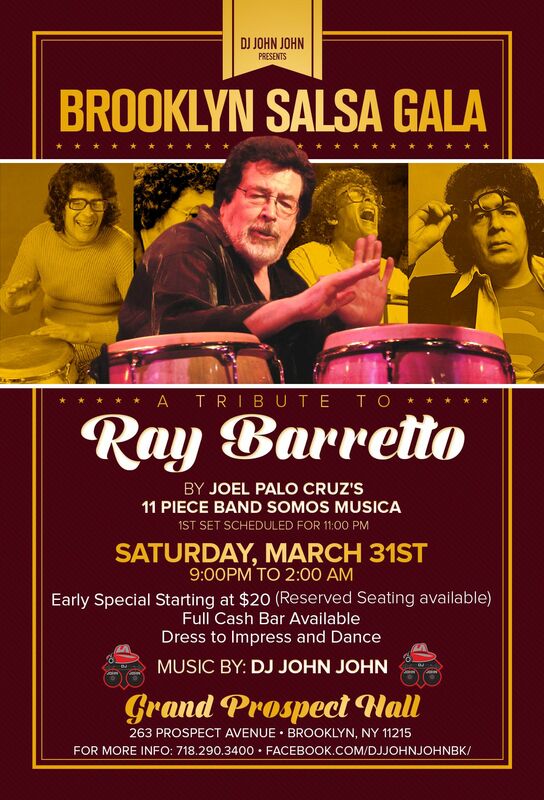 New York City salseros will pay tribute to a king of Latin music, percussionist Ray Barretto on Saturday, March 31. 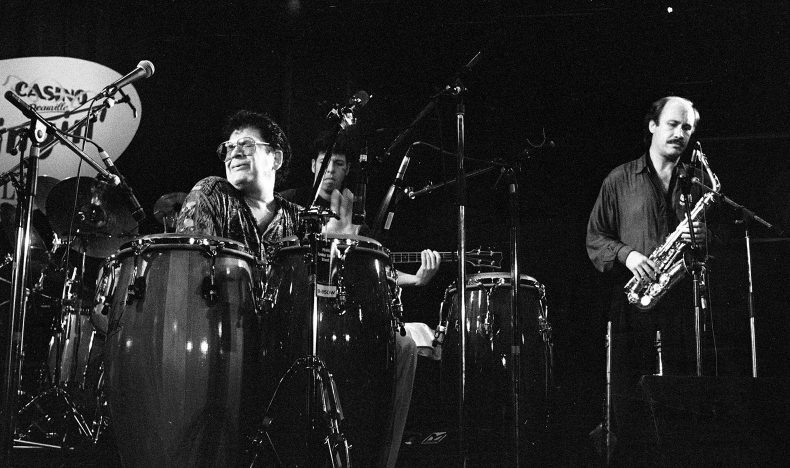 Barretto, also known as “El Rey de Las Manos Duras” (King of the Hard Hands) for his impeccable conga skills, was a member of the Fania All-Stars and a pan-Latin musician whose records run the gamut from boogaloo to descarga and Cuban son. In between sets, DJ John John will mix salsa, bachata and more. 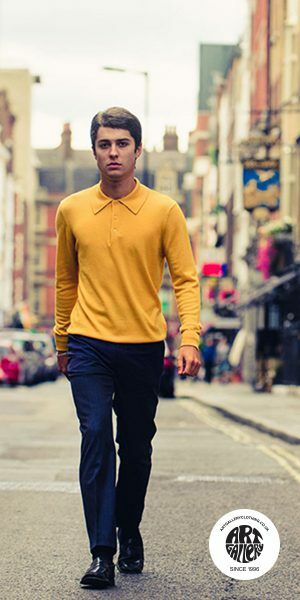 Dress to impress and bring your dancing shoes! Link to purchase tickets below flyer.